Are you a runDisney "Perfect Princess"? Disney's Princess Half Marathon is one of just two "streak" races that I've run consecutively since the inaugural event (the other being the Marine Corps Historic Half Marathon in Fredericksburg, VA where I earned my place in the "Iron Mile Company" this year). More importantly, it might be the only race where I've significantly improved my time every year that I've competed - 1:55 in 2009, 1:54 in 2010, 1:43 in 2011 and 1:40 in 2012. 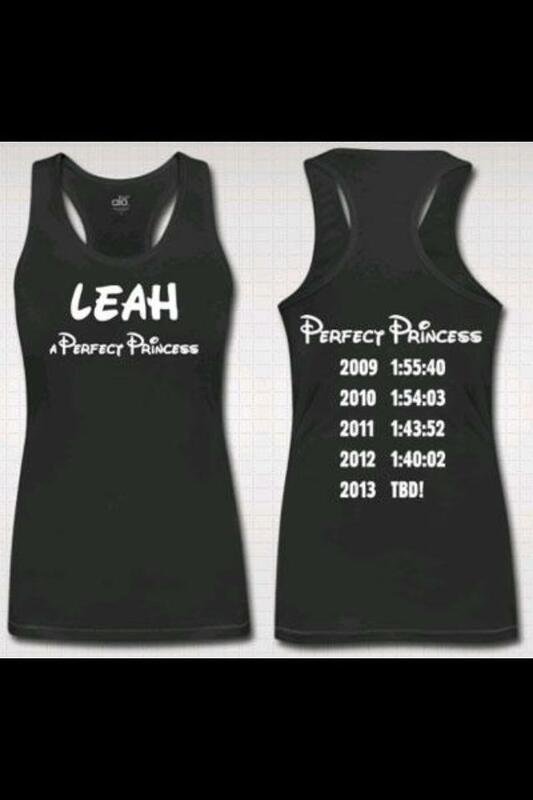 I'm hoping to continue the streak on February 24, 2013, when I run my 5th Princess Half Marathon to become a "Perfect Princess." My goal is to finish 1:39:59 or faster. I just might have to skip the character stops along the course to hit this PR, which would be a first for me. Each year I've stopped no less than 5 times to pose with my favorite princesses. The one benefit to running fast - there are hardly any lines for the photo opps! This is exciting news! I will be cheering you on. I hope you dress up as Merida from Brave.. I think Disney modeled that character after you! I love Merida, especially her long hair! Although I wish she were a little nicer to her mom in the beginning of the movie. Hee hee.